I am an author who is passionate about public education and has positively influenced thousands of students, teachers, parents and community members to create caring and motivating learning environments in public schools. I do this by actively engaging everyone in the process of building relationships to support students and families in their path to achieving success. On Friday, March 27, 1992, I was attending a workshop at my school system’s TV studio, learning how to produce a video to market our school. It was a teacher’s planning day, and I was an assistant principal at an elementary school where I had been since I was appointed right before Thanksgiving 1987. I was an aspiring principal and had been told in the past by my best of friends that I would never be a principal because I was “too nice”. That morning I received a call from my supervising principal to meet her bosses, the area superintendent and area director, at an Italian restaurant close to the school at 12:00 noon. They were going to take me to lunch and then to another nearby elementary school where they had just “removed” the current principal and cleaned out her office. I would be appointed the “acting principal” at that school. I immediately left the workshop and drove 20 miles back to the restaurant. My heart was pounding in my throat, and my thoughts were racing about finally becoming a principal, meeting the teachers and staff, and dealing with the current chaos at that school. I met these two prominent and respected woman leaders for lunch and was given an overview of my new position. The parents at this school were meeting at clandestine locations to plot against the teachers and the principal, and the teachers, I was told, were wearing black armbands in protest of the parents and the principal and what they were being asked to do. To this day, I cannot remember what I ate for lunch, but I do remember that I was basically told that my job would be to “heal” and to bring order to this school in chaos. I was also told by the area director to go home and change from the pantsuit that I was wearing to a suit with a skirt so that I would be presented properly as the new “acting principal”. At 2:00 p.m. I faced my new school staff and was introduced as someone who would listen to their needs and do the right thing for children. They were also warned by the area superintendent that their previous behavior was unacceptable and each one of them needed to step up to eliminate the cancerous environment that had spread through their school. I finally got to speak. The words came from my heart. I told them that I knew we had a lot of work to do, but I would be there right beside them to do what was right for children. I told them that I would listen to their concerns, and would work with them to address those concerns and find solutions that would be reasonable and acceptable. I made eye contact with each of them, pausing briefly with each person so that they would feel valued and recognized. I also told them that we would set a date to meet with the parents so that we could hear their concerns in an organized manner. After I spoke, several teachers came up to me to say “Welcome” and that they were looking forward to working with me. I felt that these teachers were sincerely willing to work with me to resolve the existing conflicts and get back to the business of teaching and learning. In addition, of course, I hired an Assistant Principal, promoted a highly regarded person on the office staff to be my Office Manager/Confidential Secretary, and met with each teacher and staff member to hear their concerns. Yes, within the first week we also met as a staff, with the parents, in our school cafeteria and it was standing room only. We set ground rules and time limits for speaking, and other than a couple of shouting matches and discovering a parent taping the whole thing with a tape recorder in her purse, we all managed to get out alive! By the end of the school year as a staff, we established ourselves as a “Shared-Decision-Making School” through the district teachers’ union and scheduled a series of team-building activities, including a ropes course. Our School Advisory Council, which was made up of parents, teachers and community members, met on a scheduled basis and began to plan for the following school year, answering questions and concerns in specific detail along the way. By July 1, I was officially appointed “Principal”. If you could imagine, I really must have been physically drained by this chaotic experience, but I was able to bring order to my new 24/7 world and was emotionally supercharged by the possibilities that raced through my head day and night. Financially, with the tile of Principal came the first step of the principal salary schedule, so I felt like I had earned the opportunity to finally make the appropriate salary. Spiritually, I prayed a lot - for strength, for persistence, and for the courage I would need to lead this school community and the students to the amazing outcomes I could see that were possible in our future. I pulled from all my leadership resources as I planned for the opening of my first full school year as a principal. The Seven Habits of Highly Effective People by Stephen R. Covey really framed my thinking for the tone I would set for our work for the coming year. I had just completed a leadership course on the Seven Habits, and had the opportunity to see Dr. Covey in person in a nearby city over the summer. I was inspired, I was energized and excited to “sharpen my saw” as I became fully engaged in the continuous quality improvement of my school. The following year I attended a Disney Institute, “Creating Motivational Learning Environments”, and by 1995, I was selected by my Superintendent to be one of 40 principal leaders statewide that would be trained as a facilitator for a statewide leadership initiative. This Institute for Florida School Principals would train principals from all 67 school districts across the state through the Florida Department of Education and the Florida Association of School Superintendents’ Academy for School Executives. The nationally recognized leader of school reform, Dr. Phillip Schlechty, would present “Leading Schools to Quality Results” and the “Working on the Work” framework as the content. Little did I know that this opportunity would have such a profound effect on my life as a principal in ways that even I couldn’t imagine! 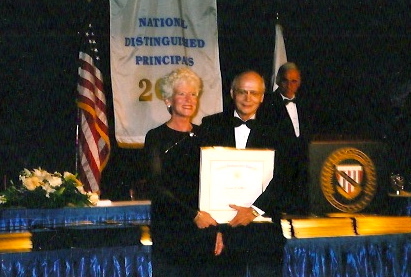 Fast forward to 1999-2000 when I would receive two awards; the Florida State Commissioner’s Principal Award for Outstanding Leadership and the National Distinguished Principal Award by the U.S. Department of Education and the National Association of Elementary School Principals. These awards reflected the outstanding work and leadership of the students, teachers, staff, parents and community members at my school for eight years. I accepted both awards on their behalf. My district also rewarded my hard work with the appointment as principal of a new school that was being built and allowed me the privilege of opening it as an “entrepreneurial school” which I could create and design. Fast forward again to now. I am a retired principal who is still living and volunteering in my school district. For the past four years I have served as a caretaker for my mother who passed away a year ago, and my husband who also passed away this past December before the holidays. I am in the process of reinventing myself and discovering who I am now in my life. 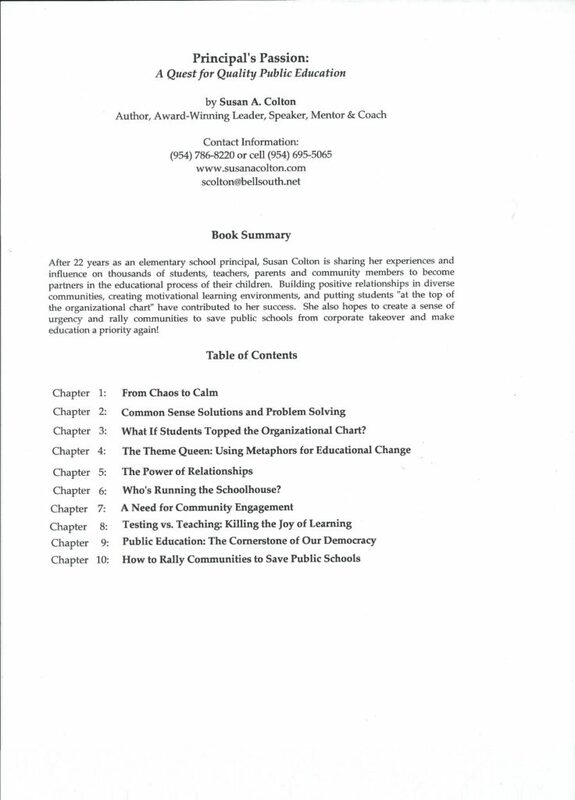 I am writing this book to share my experiences and tell my story of how I influenced thousands of students, teachers, parents and community members to become partners in the educational process of their children. I want to show how building positive relationships in diverse communities and putting students at the “top of the organizational chart” really works. I also would like to share what I learned about using themes as metaphors for creating motivational learning environments and engaging everyone in the process of change. I want to create a sense of urgency for schools and their communities to rally together to “save” public schools from corporate charter takeover and help make public schools a priority again! I believe that we can bring back the professionalism of teachers and educators and restore trust in allowing those with the expertise and experience to make decisions for our public schools. 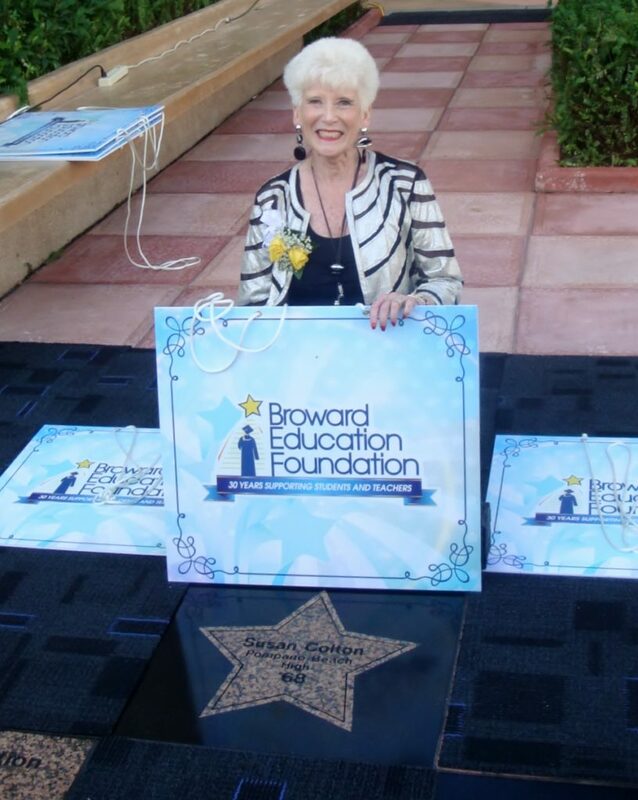 Broward Education Foundation "Walk of Fame"